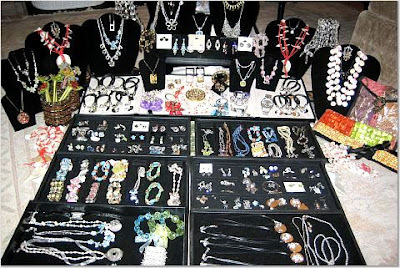 The 4th edition of the Indian Fashion Jewellery-and-Accessories-Show (IFJAS) beginning here from July 8 promises to create a global platform for fashion-jewellery export, an official said Wednesday. Export Promotion Council for Handicrafts (EPCH) Chairman Arvind Vadhera said: "India annually exports fashion jewellery and accessories to the tune of Rs.886 crore, but still its share in the world market is very low." "There is a need to make-vigorous efforts to increase exports from India and holding of IFJAS is part of the council's drive to promote the handicrafts sector," he said. The three-day mega event is dedicated entirely to the jewelry and accessories-industry. The event-will present an opportunity to international buyers to source their requirements from all over India under one roof. The EPCH is a nodal agency under the ministry of textiles and dedicated to the worldwide-promotion of handcrafted and handmade-products. Copyright Gems and Jewelry Lovers. Powered by Blogger.